Wyoming junior running back Brian Hill needs 74 yards to pass Devin Moore (2005-08) and become the Cowboys’ career rushing leader. Hill enters Saturday night’s Border War at Colorado State with 2,890 yards in 28 games. To put that in some perspective, Moore needed 44 games and broke the mark in UW’s last game of the 2008 season against … you guessed it, Colorado State. The Cowboys hope Hill breaks the record Saturday, and then some. They also hope for a better outcome than Moore experienced. UW lost that 2008 game at Colorado State 31-20. Hill first must pass Ryan Christopherson (1991-94) for second place, but needs only 17 yards to do that. The last time a UW running back broke the school’s career rushing record on the road was Gerald Abraham (1984-87) in the Cowboys’ regular-season finale at Hawaii. Abraham broke the mark with 2,278 yards. That’s now sixth in school history. Wyoming doesn’t have a lot of proven depth at the wide receiver spot behind seniors Tanner Gentry and Jake Maulhardt. Redshirt freshman C.J. Johnson had a good spring, and continues to be solid in fall camp and figures to be in the mix behind Gentry and Maulhardt. Same is true for sophomores Joe Parker and James Price. Two more guys may be getting into the mix as well — redshirt freshman Austin Conway and true freshman John Okwoli. Gentry has been out with a strained hamstring, which has given Conway and Okwoli more chances for reps with he No. 1 offense during camp. Third-year coach Craig Bohl said after Tuesday’s morning practice both Conway and Okwoli have “exceeded expectations” so far in fall camp. Here’s more from Bohl on Tuesday’s practice. Wyoming football coach Craig Bohl said Monday he’s “hopeful” junior wide receiver Tanner Gentry will play Saturday at Boise State after suffering a sprained shoulder in UW’s 28-21 win over Nevada last Saturday. Gentry’s status for the game won’t be known until later this week, but it’s probably a long-shot that he plays. Gentry leads UW with 37 catches for 678 yards, and is tied for the team lead with four receiving touchdowns. His receiving yards is 15th in the country, and his 96.9 receiving yards per game is 19th. So, who steps up for the Cowboys while Gentry is out, whether it is just the Boise State game or future games? The first guy is junior Jake Maulhardt, who is second behind Gentry with 36 catches for 366 yards, and is tied with Gentry on the team with four touchdowns. Maulhardt plays the ‘X’ receiver spot, while Gentry plays the ‘Y.’ Maulhardt is a bigger target than Gentry at 6-foot-6, but doesn’t have the speed Gentry has. The two guys who likely will see more playing time if Gentry is out are a pair of true freshmen — James Price and Joe Parker. Combined, those two have caught 7 passes for 68 yards this season. Gentry and Maulhardt have caught 57 percent of UW’s completed passes this season. Offensive coordinator Brent Vigen said human nature often takes over when guys are pressed into stepping up for a team due to an injury to a teammate as compared to trying to compete for playing time when everyone is healthy and front-line guys are being productive. There was a lot of publicity and hype for Wyoming’s five true freshmen wide receivers this season. I wrote my share of stories and blog posts about them. But through four games, there hasn’t been much production. James Price caught two passes for 26 yards in UW’s 38-28 loss to New Mexico last Saturday. Both of those came late when the game was already decided. Those were the first two catches of his career. Joe Parker, who enrolled at UW in January and went through spring drills, has caught two passes for 10 yards. The other three — Justice Murphy, Dameko Doddles and C.J. Johnson have yet to catch a pass. Murphy and Doddles have played. Johnson will redshirt this season. Murphy scored a touchdown in UW’s 48-29 home loss to Eastern Michigan on Sept. 12 on a fly sweep. He also fumbled later in the game on a similar play. Another young wide receiver Bohl said UW will take a look at in practice this week is true freshman walk-on Tayton Montgomery, a Cheyenne Central graduate, at 5-11, 165 pounds. 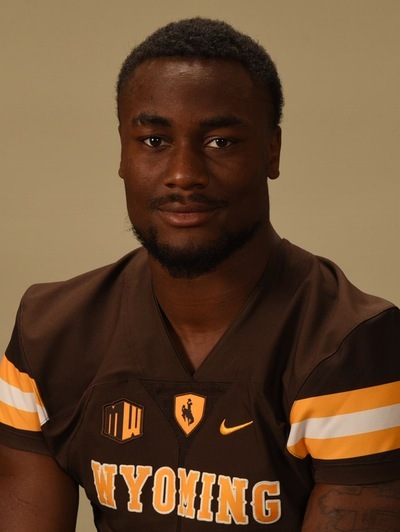 Difficult to come up with many positives from Wyoming’s 24-13 season-opening loss to FCS foe North Dakota Saturday in Laramie. But there were two glaring concerns: the offensive line and penalties. I thought going into the season the offensive line would be improved and perhaps a strength of this team. Perhaps it will be, but it didn’t show it in this game. UW couldn’t run the ball, and the pass protection was inconsistent at best. Here is UW coach Craig Bohl after the game on that, and other concerns after teh game. Wyoming has held only one of its 15 spring practices, with the second and third workouts coming Friday and Saturday. All are important for the team, but perhaps none more for three receivers who hope to see the field this season. It’s safe to assume that juniors Tanner Gentry and Jake Maulhardt will play. They are the Cowboys’ leading returning receivers as both combined for 53 catches for 709 yards and three touchdowns in 2014. Their roles will change this season, and there will be more on that down the road. But for junior Tanner Simpson of Lander, senior Justin Berger and true freshman Joe Parker, the next month will be their chances to see if they have what it takes to have a role on the field this season.